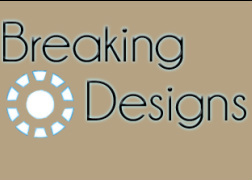 Team Breaking Designs will use universal design concepts and the bookbuilder program to inform and educate parents, and increase the participation in the Colleton County School District’s parenting sessions. A bookbuilder digital book will be created to provide a self-paced lesson on cyberbullying. The book will be featured on the district's Internet Safety website as primary content. The District Internet Safety website can be accessed at ccis.ccsdtitle1.org. Based on responses from over 900 surveys (district parents, teachers, and administrators were surveyed) conducted by the Colleton County School District Title I Office, parents with children in Colleton County Schools are greatly concerned about bullying in person and online. From 2010 to 2012 three of the most highly evaluated parenting sessions in the Colleton County School District were on the topics of Internet Safety, Social Networking, and Cyber Bullying. However, since those sessions were only available in person, a large part of the parent population has been unable to attend these sessions. This project will provide lessons to parents to help them identify cyber-bullying situations and give them tools to prevent or end children's involvement in cyber-bullying. Project Production Lead: Responsible for ensuring that the team has necessary resources to complete deliverables. Assist in other project areas such as content development, audio and video elements. Information Technology professional with over 12 years of experience. Professional knowledge and skills areas include application support, database management, project management, business process improvement and software training. Volunteer experience includes web design, graphic design, software training and jobs skills training in education, as well as serving as an IT skills development mentor. Graphic Designer: Responsible for designing graphics, logos, and other visual elements. Biography: Teacher at the Aiken County Career and Technology Center for 4 years. I teach Media Technology. Skills include Photoshop, Final Cut Pro X, Dreamweaver, HTML, and Java. I have had previous experience at USCA and the Career Center where I helped students and professors with general computer knowledge. I also performed other "tech support" services such as virus removal. Content Expert: Gather or create content for the project, review research, create and edit lesson materials, and proof lesson components. Biography: Shelby currently works in the “job-of-her-dreams” as the Title I Parent Involvement Coordinator for the Colleton County School District in Walterboro, SC. The position allows her to work with teachers, district administrators, school administrators, parents, students, and community members to improve student achievement by building parenting, academic, and job skills among parents. She designed and maintains the following websites: Colleton County Title I Website, Colleton County Title I Parent Involvement, Shelby Simmons MED Portfolio, GGRN Radio, and The Gullah Sentinel Newspaper. She is a certified Elementary Education teacher and has taught 2nd, 4th, and 5th grade students. Multi-Media Producer: - Responsible for designing, producing, and mastering audio and video content. Formally trained as a digital audio producer, Nathan holds album credits on over 15 globally distributed audio albums. Along-side of audio production, he has produced video content for various Silicon Valley corporations and most notably worked as a videographer for recording artist MC Hammer. Nathan enjoys getting to know new technologies and is working towards teaching these skills in a collegiate learning environment.